If you’ve been to the Athletic Club recently you will know already that in the last few weeks we have finally started some work on site. 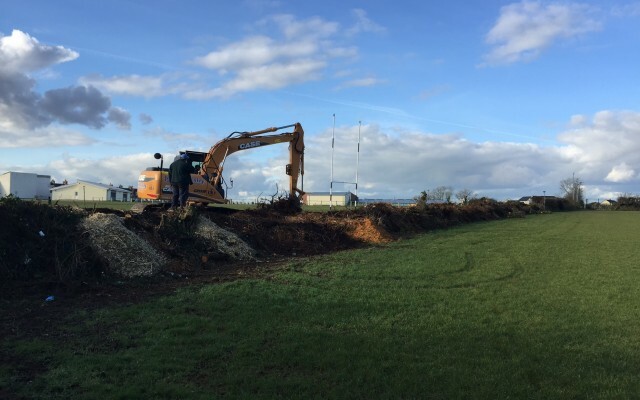 The first step in the project is to re-position the current rugby field, shifting the pitch to the North, in order to create space for the new Hub next to the existing bowling green. The Hub is the big blue block on the plan below. We applied to the Welsh Rugby Union (WRU) for help with this enabling work and I’m pleased to say they have supported the work with a grant of nearly £15,000. 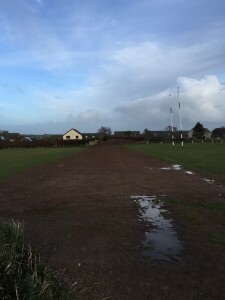 Neyland Athletic Club have agreed to funding the remaining c.£5000. 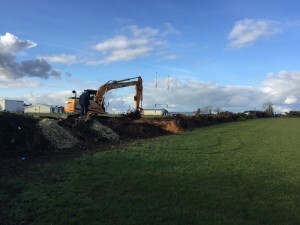 As a result, the diggers were in a few weeks ago and the hedge to the north of the field has now been removed. 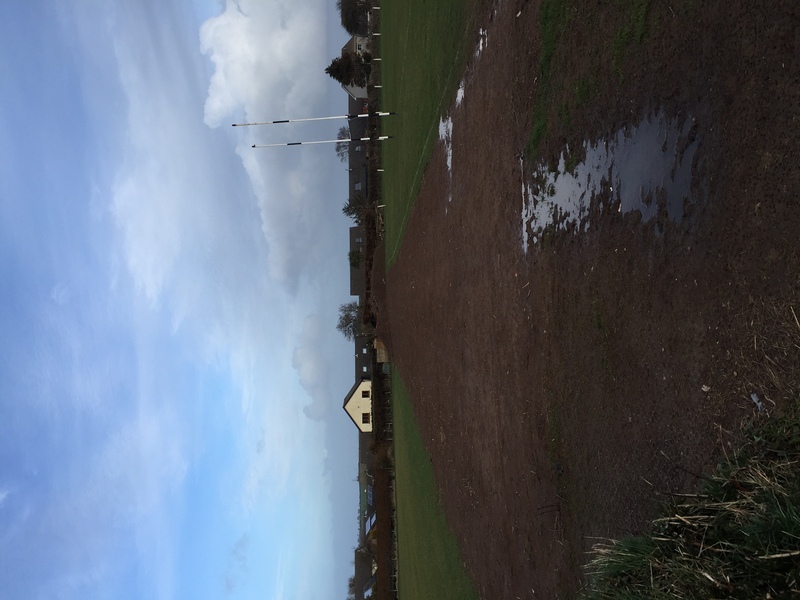 Contractors will be returning in the summer months to complete the required leveling, drainage works and seeding and the pitch will be in it’s new position in time for the start of the 2016-17 rugby season. We’ve one more grant application to submit (before the end of May) and if all goes well, we just might be in a position to start for real early in the new year. As always, I’ll do my best to keep you posted and if you have any comments or questions about the development I’d be pleased to hear from you.